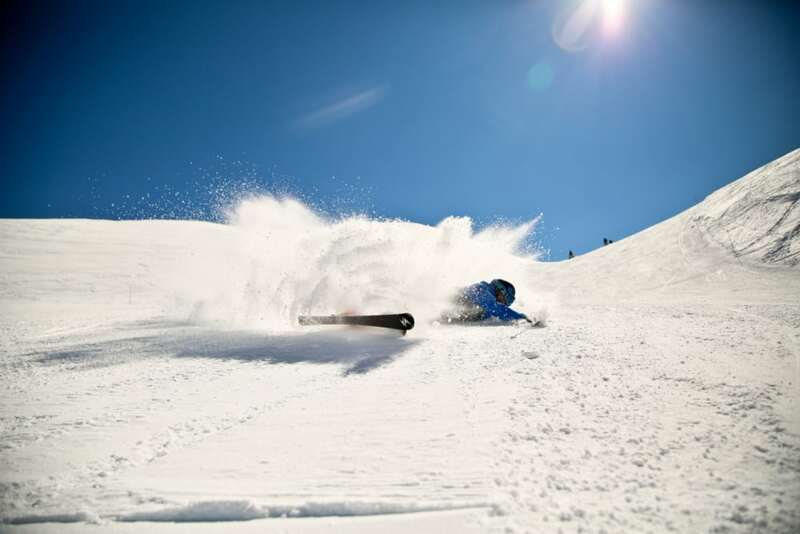 You know how to ski. You can get down a variety of pistes in one piece. However, you may have picked up bad habits along the way. Be it from someone who’s given you advice, or just straight-up bad habits that you’ve built over time without realising. There are many ways to get down the mountain, but we want you to get down the best way. Many of these bad habits will get you by, but you’re probably using up extra energy to make it happen. Think you’re doing everything right? See if you have any of these bad ski habits that you should break ASAP. Backseat skiing is about as effective as backseat driving. Essentially, backseat skiing is leaning too far back as you go down the hill. Absolutely everyone is guilty of this at one point or another, but the earlier you start addressing it and trying to correct it, the better off you’ll be. Leaning forward and putting pressure on the front of your skis will help you control your speed on steeps, jumps, and drops. And even worse, it’s super tiring! It’s the equivalent of doing a wall sit (school gym style with no seat) – nobody wants that. Fixing this is pretty tricky, but there are a few tips you can try. Put pressure on the front of your boot with your shin. Push your knees towards your toes so that your ankle flexes. If you can see your boot flex then you’re doing it right! Good pole plants and ensuring your arms are in the correct position will also help. Poor fitting boots can also be the culprit of backseat skiing. How to be sure your ski boots fit properly. Arms can often be an afterthought when skiing. Flailing arms can cause a turn to be jerky and unbalanced. Droopy arms also impede balance and will cause you to use excess energy and extra movement when you have to swing your arm up to make a pole plant. Having them down low also restricts them from moving freely, so your turns won’t be as smooth. Put your hands out in front as if you’re holding a tray or about to hug someone. Your hands should be at about 10 and 2 o’clock, and you should always be able to view your elbows without turning your head. It may feel a little weird at first, especially if you’re used to keeping your arms down low, but you’ll start to feel the difference quickly. Your shoulders and elbows shouldn’t swing but should stay fixed. 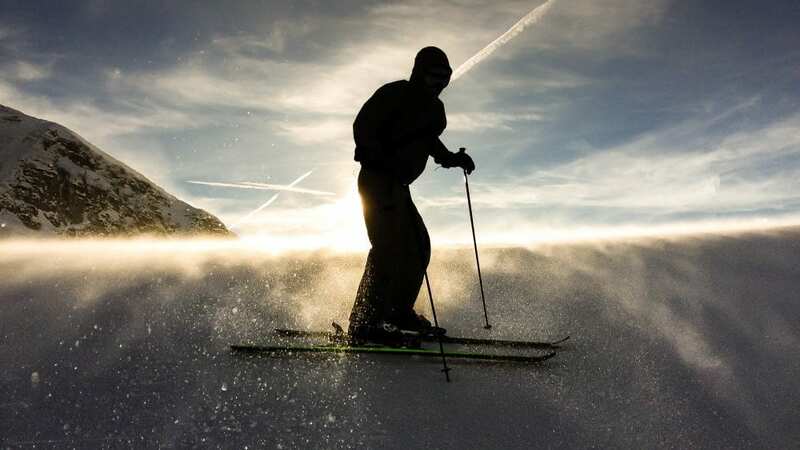 If you’re skiing faster or carving, it helps to spread your arms even wider to maintain balance and control. Shortsightedness whilst skiing has nothing to do with your 20/20 (or lack thereof). Short sight in skiing is when you’re looking only at the turn you’re making, rather than what’s coming next. This doesn’t allow you to properly ski the whole piste. This is also what leads to situations where you’re totally unprepared for that huge lump of snow in front of you because you weren’t looking out far enough ahead. Aim to look out horizontally rather than downward. This will help your balance, keep your body position in neutral, and turn decision making. When you see where you want to be, your body is prepared and moves accordingly. You’ll pre-empt what’s coming subconsciously in your head and body. The true marker of an advanced skier is the ability to keep the upper body facing the fall line, regardless of what is happening lower down. This is key to move past the intermediate ski level. Find yourself ending each turn facing the side of the piste? You’re turning with your shoulders. Using your shoulders to turn requires a lot of energy and throws you off balance, leaving you to spend more energy recovering to make your next turn. Also, it only works on groomed runs. 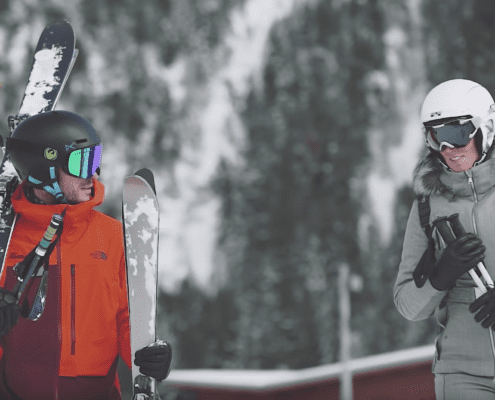 If you want to move to off-piste or just tackle ungroomed pistes better, you need to be able to separate your upper body from your lower body movement. A good exercise is to take your poles and hold them both in two hands, across you at chest height. Try to keep them facing down the hill and level as you make slow turns. You’ve probably seen people doing this exercise on the slopes because it’s a good one! Just to note: All of the above is true for short to medium turns. For longer turns, you inevitably will not be facing completely downhill at some point. It’s understandable that if you can ski relatively well, you don’t want to spend the time or money in lessons. They’re only for beginners, right? Wrong. You don’t need to spend your whole holiday with an instructor, but a few hours of lessons can go a long way to ironing out any habits you’ve acquired. Spend some time with an instructor who can monitor your progress and give you personalised tips and feedback. 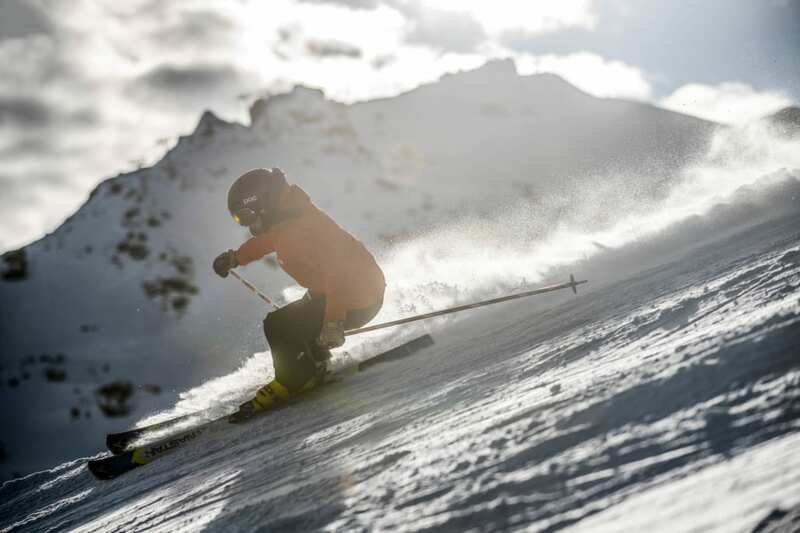 Book a ski clinic with us, break those bad ski habits and ski further, longer and better. Improving your confidence will also make skiing more fun. And isn’t that what we all want anyway? Our clinics run for just 2hrs on Tuesday and Thursday, giving you plenty of time throughout the week to practice what you’ve learnt and spend time with family and friends. 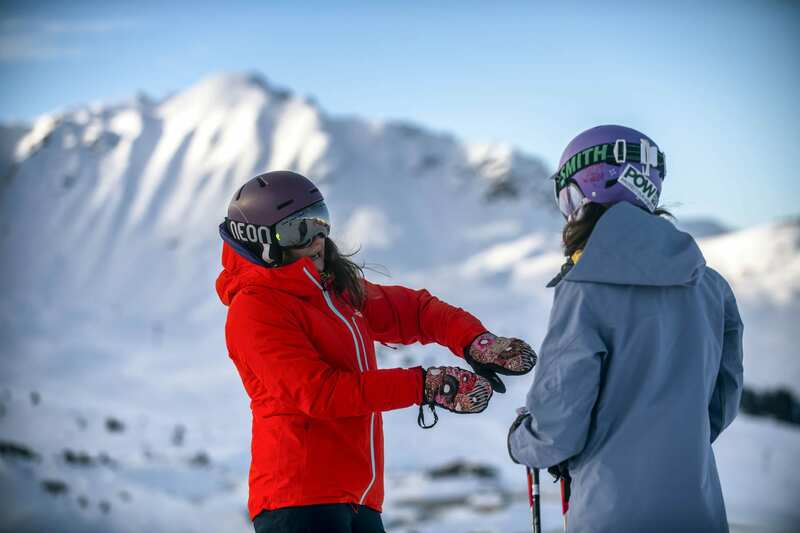 Find out more about our ski clinics.